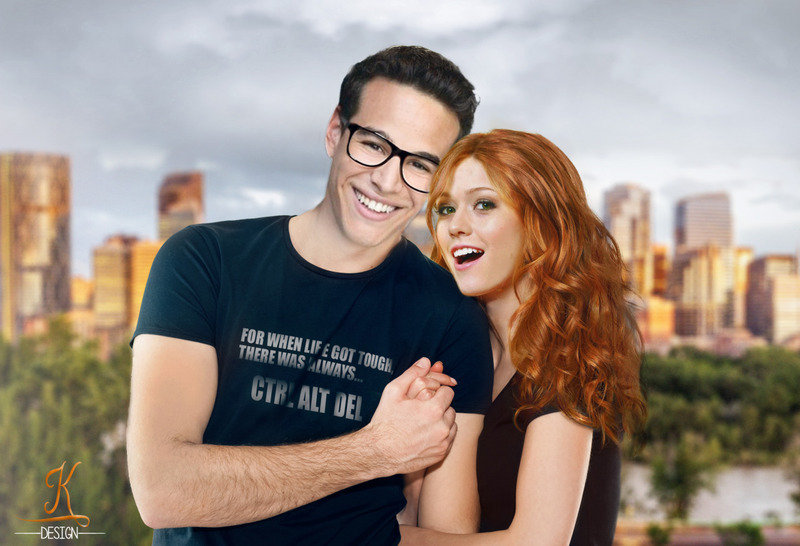 Alberto Rosende and Katherine McNamara as Simon and Clary. . HD Wallpaper and background images in the Shadowhunters TV Zeigen club tagged: photo shadowhunters the mortal instruments alberto rosende simon lewis katherine mcnamara clary fray. This Shadowhunters TV Zeigen fan art might contain zeichen, plakat, text, tafel, schilder, poster, porträt, kopfbild, nahaufnahme, portrait, headshot, and kopfschuss.